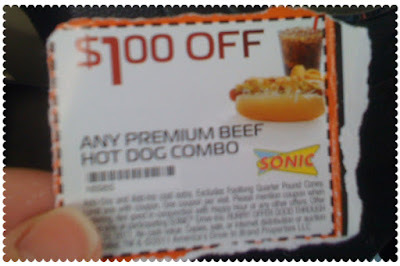 Do you remember my previous post about Sonic's new premium hot dogs? Well, imagine my excitement when I got this coupon in the mail! I can now say, sadly, that I have tried all four of their new hot dogs. 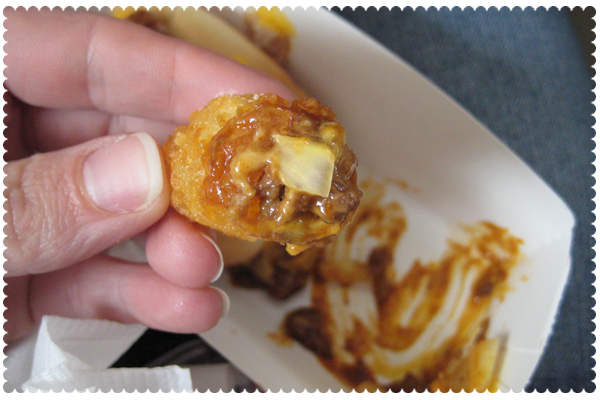 And the best part of the chili cheese dog is having tots to dip in the stuff the falls out! Okay, now back to healthy eating. 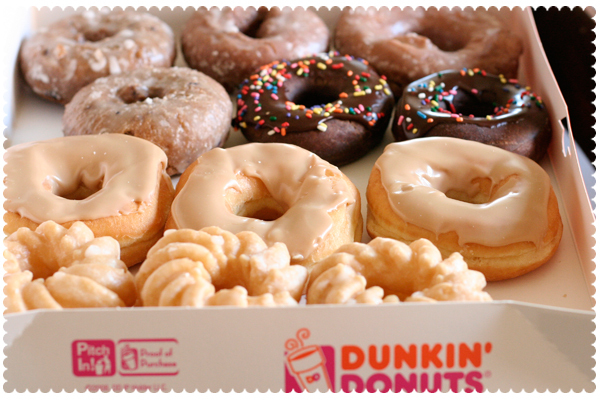 Oh wait, after these are gone. Thanks dad! 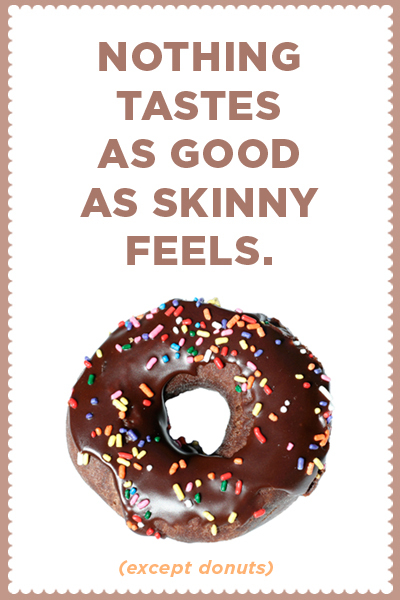 I added the donut part, obviously! You are killing me! We don't have Sonic OR Dunkin Donuts here yet they still have commercials for them all of the time. Ugh! 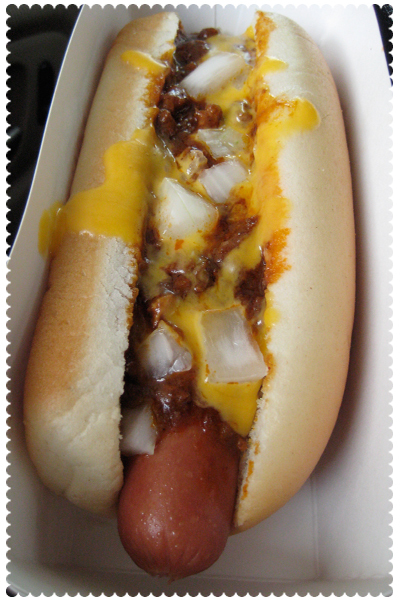 I tried the New York dog and though it was pretty good except for the soggy bottom bun. 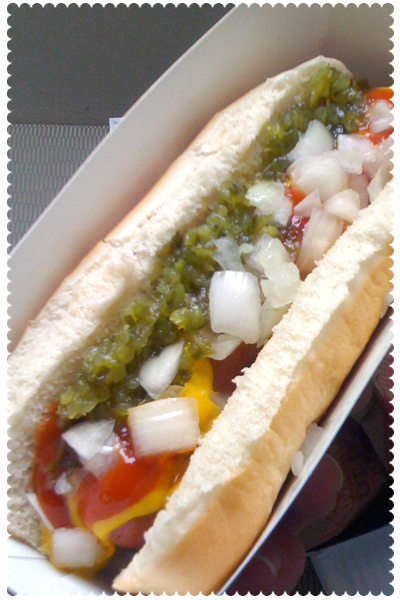 Next up is the Chicago dog! Jenny, that cracked me up! I think Sonic should pay me for advertising!! I would take cranberry limeade bucks! Ashley, the soggy bottom is why I didn't really care for the New York dog. My husband liked it though.